Like other MNU members, the Uppsala University is involved in a wide range of activities relating to global citizenship; examples of some of these activities are provided below (though this is not an exhaustive list). 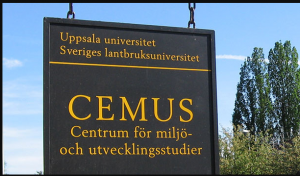 CEMUS is a student-led and faculty-supported transdisciplinary centre at Uppsala University and the Swedish University of Agricultural Sciences, with the explicit ambition to contribute to a more just and sustainable world. It offers a wide range of courses within the environment, development and sustainability field, developed through close collaboration between students, course coordinators, teachers, researchers, university administrators and societal actors. Active student participation refers both to students as a resource in each other’s learning (peer-to-peer learning) and students who are co-creators in the planning, implementation and evaluation of education. 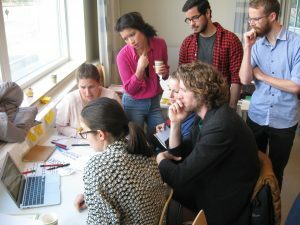 Active student participation at Uppsala includes field trips and sessions organized by students; students as mentors or seminar leaders; students as supervisors in problem-based learning; students as ambassadors of higher education; student-led courses; students reviewing course literature; students highlighting perspectives they feel are missing. This interdisciplinary programme aims to ensure that students are fully versed in issues concerning sustainable development from a range of perspectives – from basic economic to extremely concrete aspects, such as how sufficient drinking water can be made available to everyone on our planet. This course is designed for anyone who wants to take a leading role in tackling climate change. Participants might work in a small business, an NGO, a university faculty, government or municipality administration – or just be curious. The course provides a view of the leadership challenges associated with climate change, as well as the new arenas that are opening up for climate action. Nygren, T. (2016). UNESCO Teaches History: Implemeting International Understanding in Sweden. 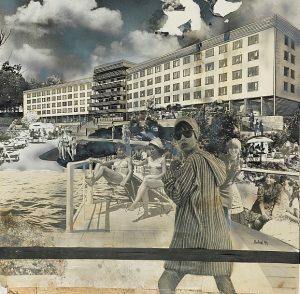 In Poul Duedahl (ed.) A History of UNESCO: Global Actions and Impact, Palgrave Macmillan. ABSTRACT: International organizations aiming to promote peace and development throughout the world rose from the ashes of World War II. In a world troubled by conflicts and gaps between rich and poor, UNESCO faced many challenges and used different strategies in its struggle to shape a better world. This chapter shows how history education became an important part of UNESCO’s mission to promote international understanding, unity in diversity and safeguard world heritage. It also highlights how UNESCO was more successful than the League of Nations and the Council of Europe in reforming history education in Sweden, and how UNESCO’s efforts impacted the way students after World War II started to write a more peaceful, global and multicultural history. Nygren, T. (2016). Thinking and caring about indigenous peoples’ human rights: Swedish students writing history beyond scholarly debate. Journal of Peace Education, Routledge. ABSTRACT: According to national and international guidelines, schools should promote historical thinking and foster moral values. Scholars have debated, but not analysed in depth in practice, whether history education can and should hold a normative dimension. This study analyses current human rights education in two Swedish senior high school groups, in classes meant to promote what has been described as conflicting ideals of historical thinking and empathy as caring. Content analysis of students’ exam essays shows intertwined relationships between critical thinking and judgements. The results also highlight how students care that people are treated unjustly; can identify different perspectives; link the past to the present and the future; and use corroboration of information to get the best grade. The findings are significant to all researchers, teachers and decision-makers interested in furthering analytical skills or moral values in education. 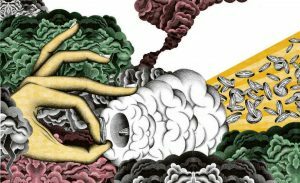 25 Years of Staying With The Trouble – Or Why Won’t The Professor Tell Me How To Save The World? What is Your Dream Course?